Yes, I've learned that is better to give MORE info than less. Especially when it's about deadlines or some "potentially game over" stuff. Even if in this case it will be hard (maybe some "time critical quests" later in the game, but just that). There are so many because I'm testing, in the final game there won't be 20 random encounters on each map!! more coding on random encounters, now when you "stumble" on one of them (or your ship goes there on purpose for the grinders out there ) you can choose if to engage or avoid. Avoid gives HP/Morale penalty, while engage obviously starts the battle. Differently from PS1 I am thinking to not have the random encounter be "deadly battles", since even if you lose, your party will have so few HP that probably they need to go back to the colony to rest and "waste" one day of in-game. So for now I'm going to keep it this way, changing it in any case won't be a big deal (maybe I'll do that only in Hard/Nightmare mode). My goal is to have a moderately challenging game in Normal (like Cursed Lands) but that is also very punishing in Hard/Nightmare (something that wasn't possible in Cursed Lands due to the game structure). 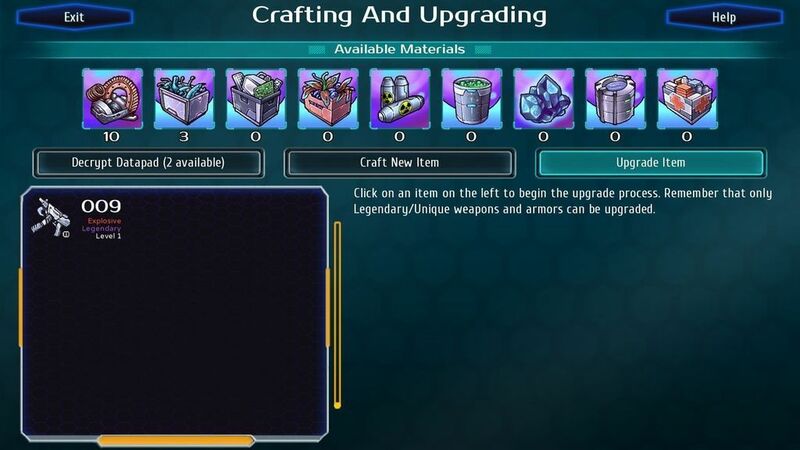 I think I have the right idea about implementing the crafting in this game: during your exploration you’ll find “datapads” that contains blueprint to craft weapons/armors of different rarity (you’ll also need the right materials). Of course you'll also still find items while looting enemies after a combat. 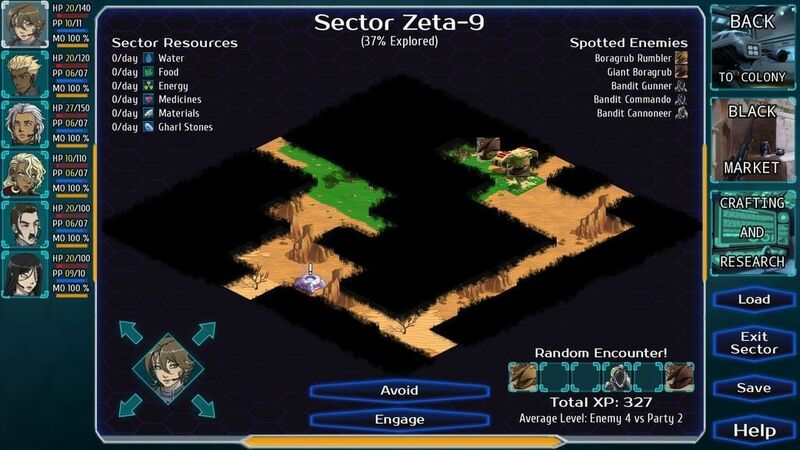 That's...a lot of different resources for a side-game. 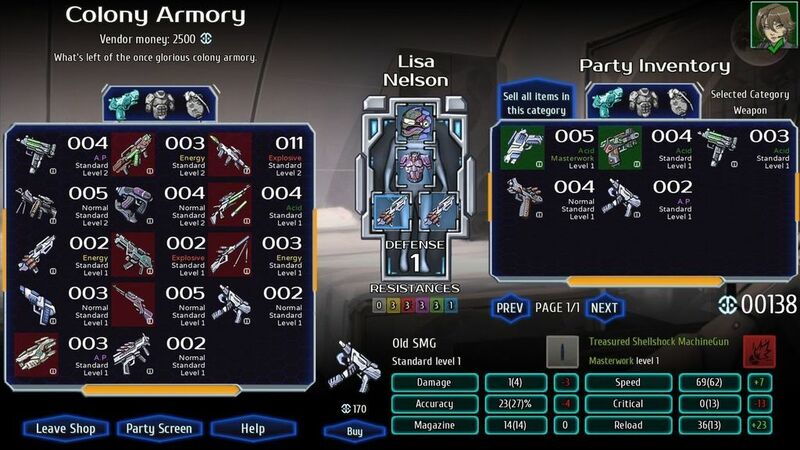 I think it's fine to upgrade legendary weapons, as you're still needing to gather the appropriate materials to progress. If balancing is an issue there could be a specific crafting material needed for legendary upgrades that only drops from fixed, set points in the game. 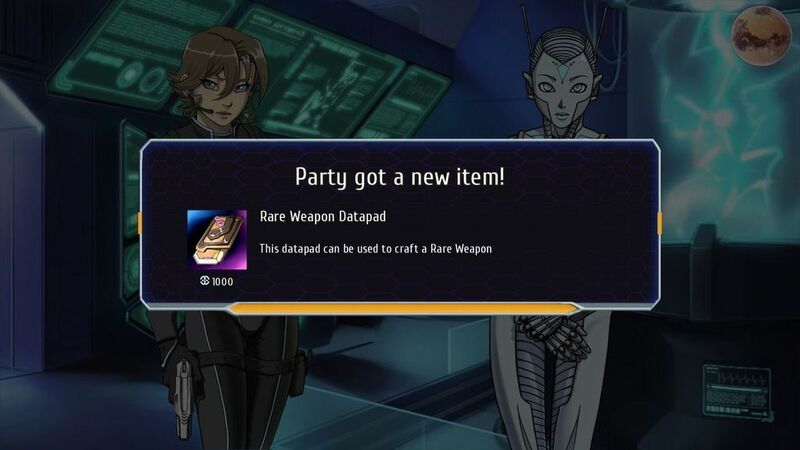 Also, can you change it to "The party got a new item!"? Yes but after a while will be very clear what each one is for. What I meant was that for a moment I had the idea to offer single upgrades, like "upgrade damage" or "upgrade weapon speed" etc. But if people can craft the perfect custom weapon would be too easy. finished the "upgrade item" part. You can either use common materials or gharl stones. Gharl stones are much harder to find (if you wander around and do all the encounters probably you'll still get enough since I'd like people to upgrade their items, but still not as common as the others). The others more common materials in this case is always metal+depends on weapon damage type, for example explosive attack=needs radioactive materials, acid weapon=toxic material and so on. This week I plan to finish coding this screen completely, unless more ballbreaks happen (hopefully not lol). Last week wasted 3 days for totally stupid stuff (one HD broke, so I decided to get a NAS to avoid future issues like this). Since was stuck in past days for non-dev related thing I got some time to rethink the "non-combat skills". 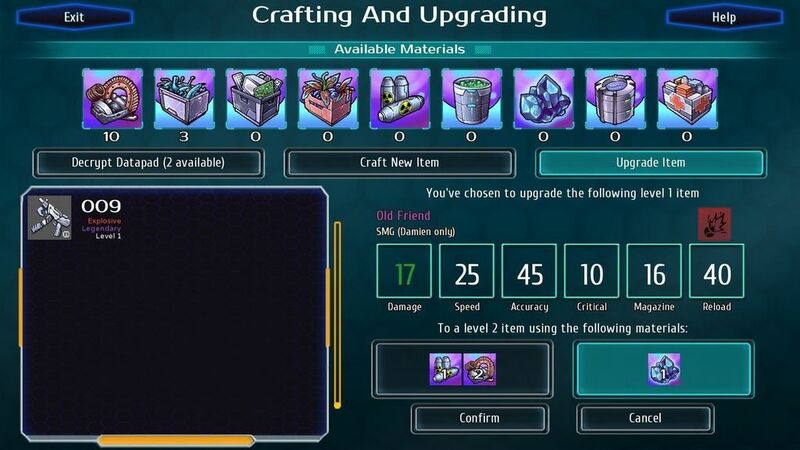 The original effects won't work well, now that I have a half-working crafting screen I noticed they were a bit pointless. 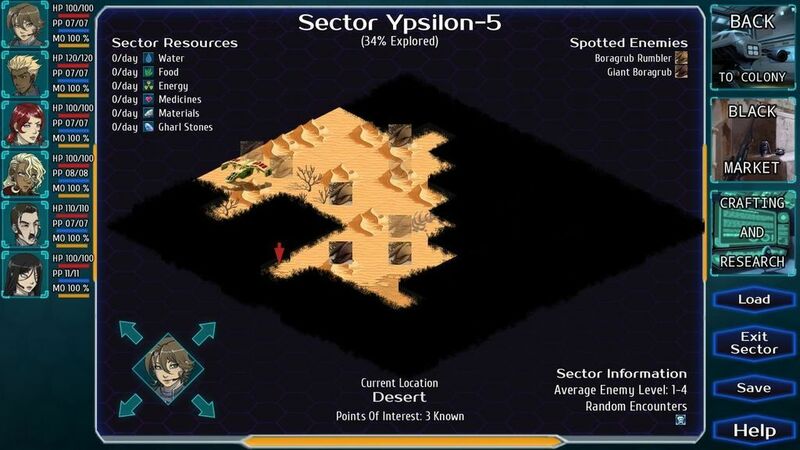 2% of reduction of resources needed for crafting, etc. The values were too low to have an impact. And if I raised them, they could be too strong. In short wasn't working. So I am going to change the name, from "non-combat skills" to "generic skills" or maybe "shared skills". Each character has their own unique skill tree (4 unique skills + 4 class-based skills) and then this other set which is the same for ALL characters, so probably "shared skills" works. They will still provide an extra bonus beside the skillchecks, and I am going to make it combat-related as well. For example each skill point spent on Science will increase Energy damage +1, every skill point on Survival will increase healing/HPregen by 1 and so on. (in this game there are bigger numbers so +1HP regen is not a big thing). They will keep a bonus beside the skill check but a bonus that has an immediate effect, since the crafting part could even be entirely optional (you won't NEED to use it to win the game) so it's better if they provide a bonus to something that the player will have to do - the combats (unless you play in VN mode obviously! ).